If the weekend’s events displayed a nation caught between tradition and modernity then there’s one historian who can surely make sense of it all. 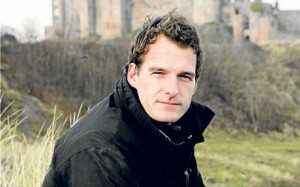 It’s been a busy few days for Dan Snow, the boundlessly-energetic BBC “history heart-throb”, scion of a famous broadcasting family and now a vocal advocate for the Yes to AV campaign. Snow, 32, has argued for constitutional change on Newsnight and worked the phones at the Yes to Fairer Votes campaign. “We shouldn’t be attached to the past like ancestor worshippers,” he says of the first-past-the-post system. But he also measured up his morning suit as a distinguished guest at the royal wedding, which he attended with his wife, Lady Edwina Grosvenor, daughter of the sixth Duke of Westminster. Can a hereditary monarchy, entrenched by Friday’s nuptials, sit comfortably alongside the promise of a more plural, democratic Britain offered by AV? Snow, who has won acclaim for his military history books and documentaries, believes the secret lies in the monarchy’s adaptability. “In the past an event like this would have been a military spectacle but now it’s a family wedding,” he says. It’s the kind of constitutional debate that constantly swirled around the Snow household. 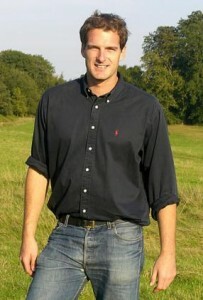 His father Peter tended the Newsnight swingometer on election nights and his cousin, Jon, is the Channel 4 News anchor. Dan’s mother Ann is a Canadian journalist and he is the nephew of Margaret MacMillan, the Oxford historian. For good measure he is the great-great-grandson of David Lloyd George. “I’ve been the luckiest person in the world because right from the earliest age my parents would talk around the table about PR, presidential democracy and monarchical absolutism,” he recalls. “My dad is the best sounding board. We always argue but Dad is a fantastic empiricist in his own right. Of course he tells us all about voting systems and polls and he remembers the 1974 discussions about a Lib-Lab deal over PR.” When Snow left Balliol College, Oxford, with a double first in Modern History, Peter helped launch his television career, as father and son toured eight of the most famous British battlefields for a BBC series. Dan has never looked back, bringing his authoritative, enthused approach to subjects including a well-received history of the Royal Navy and most recently Filthy Cities, a visceral journey into the sewers below Paris, London and New York. Snow, who suffered bites from rats and leeches, is willing to make some compromises for the prize of attracting younger viewers to history. “It was an ambitious attempt, using CGI, to bring a wider audience to history on BBC2. There was a great reaction on Twitter but it was also a serious attempt to show the struggle we’ve had against filth and the progress we’ve made.” He’s observed how his television historian contemporaries, Simon Schama and Niall Ferguson, Dan’s Oxford tutor, have agreed to advise Michael Gove over the Education Secretary’s pledge to ensure that no child leaves school without learning a “narrative history”. It was a letter opposing AV, signed by eminent historians including Ferguson and David Starkey that thrust Snow into the political debate. “I was bemused by this list of extremely impressive historians who made some very basic errors in a letter backing first past the post,” he says. “They quoted first past the post as if it’s part of the legitimacy of the age. But we’ve had hung parliaments in one third of the past 100 years or so and sometimes parties volunteered to form coalitions in a crisis. Snow is a dedicated advocate of social media. “I was so tempted to Tweet from inside the wedding but I’d probably never be invited anywhere again,” he reveals. He’s been “invigorated” by the discovery that he can make a short film explaining AV, upload it to YouTube and have it seen by 10,000 people within an hour. Snow tends to be wherever the action is. He escaped unscathed when the Syrian uprising erupted just as he was filming at the Krak Des Chevaliers in Homs in the west of the country, for a Discovery series on castles. But he balks at any suggestion that he has enjoyed a gilded rise from school captain to Oxford Boat Race star through instant television stardom and marriage into the Duke of Westminster’s £7bn estate. Today, Snow will be clambering in typical action-man style across Château de Gaillon in Normandy, “One of the most beautiful renaissance castles. Trashed in the revolution.” He adopts a military analogy to assess his own prospects. “The great generals get better because when they get setbacks for reasons out of their control they regroup, they keep coming back and they keep an eye on the final victory. 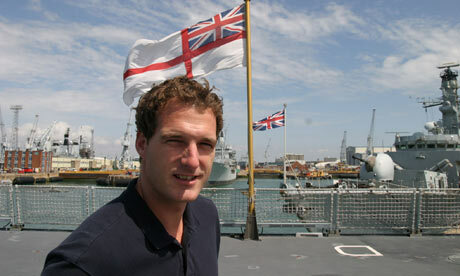 * Born December 1978, youngest son of BBC journalist Peter Snow and Canadian journalist Ann MacMillan. * Educated St Paul’s School, London and Balliol College, Oxford where he rowed three times in the Boat Race. * Makes television debut alongside father in 2003 BBC film about El Alamein, followed by Battlefield Britain series. 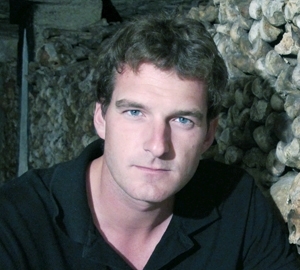 TV historian Dan Snow jokes that his latest project didn’t feel like the easiest way to make a living! Filthy Cities aims to bring to life the stinking histories of London, Paris and New York, with CGI ‘ageing’ the city streets. Hands-on Dan, 32, goes down into sewers, shovels five tons of horse poo, butchers a pig with a medieval axe, and allows himself to be covered in lice and be bitten by a rat and a leech! TV Choice asks: in heaven’s name why?! The first programme looks at London. What was it like in medieval times? You actually stand in London’s River Fleet, which some people won’t know about. Was it difficult getting permission from city councils for some of the stunts in the series? But didn’t you baulk at some of the things the producers got you to do, like being bitten by a rat? Today I was up at 6am. No two days are the same for me. Some days I’m in my PJs all day, reading and writing and spending too much time on Facebook, and other days I’m up at 4am and taking a flight to Scotland to talk about some Anglo-Saxon treasure or going to help out at the British Museum. ­Depending on what I’m doing – whether it’s research for my book, or something for the One Show, my working days will always be different.